For the operators of a minibus service, ensuring you have the right maintenance partner that can take care of the minibus repair, servicing and MOT will be an important factor in helping to keep your business running. It is important that your minibus service centre understands the distinct requirements for the Minibus MOT, service and repairs that will meet the stringent rules and regulations. So how can we help you to keep your Minibuses running? We know that if your minibus needs mechanical repair, you will need to be happy that the quality of the work will be to the highest standard but without taking too long and costing too much money. We know that keeping your minibus operational is of vital importance to your organisation, so our team of highly experienced technicians work to have you back on the road as soon as possible. Regular servicing of your minibus is an essential part of maintaining safety and reliability for your organisation. 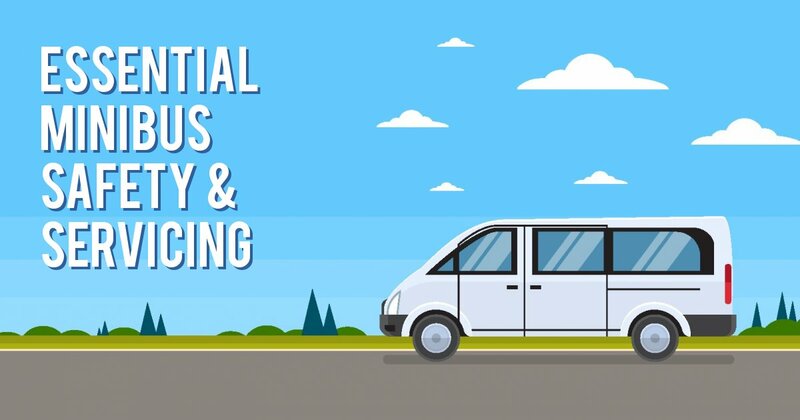 We have detailed the roles, responsibilities and regulations surrounding minibus services in our article entitled “Minibus Maintenance Planning Guide”. This highlights the need to have your minibus regularly serviced and helps to have a better chance of passing the minibus MOT. As Minibuses need to be checked, by law, every 6-10 weeks for certain safety points, it is worth ensuring the service plan promotes a regular service. In addition to the safety requirements for your minibus, there is an added factor to consider for your service schedule, Diesel emissions. This will play a significant factor for those operating minibuses in London’s new Ultra Low Emissions Zone (ULEZ). This new cost to businesses will mean the need to keep control of the emissions is ever more important. Based at our London garage, we are conveniently located to offer minibus MOTs that provide high quality and value for money. In our article entitled “Mini Bus MOT – What impact do the MOT changes have?” we looked at the specific details and requirements for the minibus MOT. Our MOTs are carried out at a time that best suits your organisation and will be carried out to keep your time off the road to a minimum. Our highly skilled team of technicians, based from our independent garage in North London, are experienced to be able to service, maintain, repair and MOT all makes of minibuses. The team is here to help you plan and schedule the service dates and times to help ensure your minibus or fleet of minibuses are kept on the road as much as possible. Our technicians can service, maintain and repair any size minibus. Our MOT licence covers MOT inspections of minibuses up to 12 seats, although we will manage MOTs on vehicles over 12 seats with our preferred partner garage. If you would like to speak with a member of our team for some advice or would like to book your minibus in for an MOT, please call us on 0208 905 8788.